Apart from the Asus G70, a notebook specifically designed for gaming, Asus also offers the M70S in its new 17” series of notebooks, which is targeted at users with less gaming ambitions. 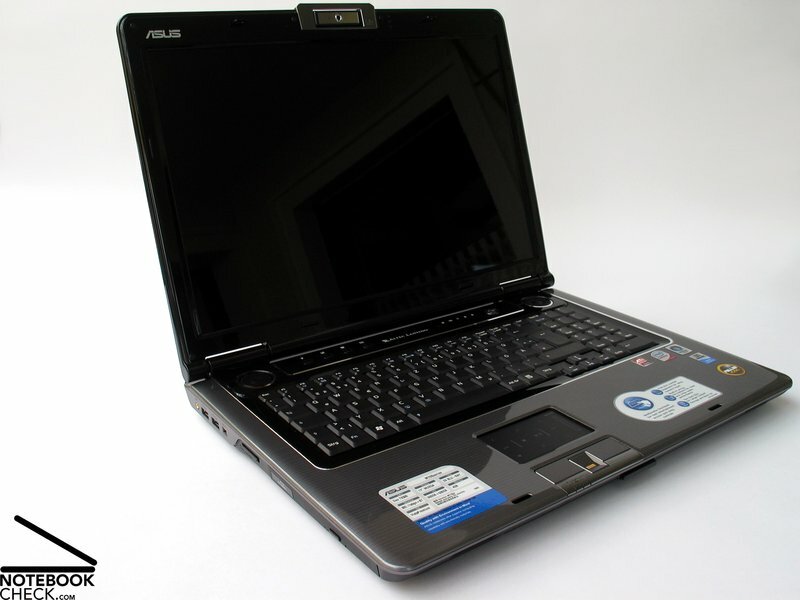 The Asus M70S mainly appeals to multimedia users with a desire for a large Full HD display, by its powerful T9300 processor, ATI Radeon HD3650 graphics, and Blu-Ray drive. 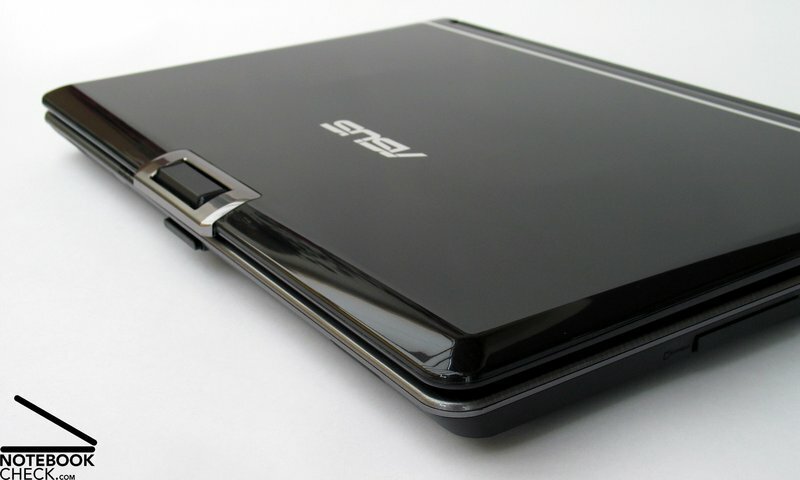 M50 and M70 are the names Asus gave its new 15 and 17 inch multimedia notebooks. After testing the 15" model, the Asus M51SN, we are now going to take a closer look at its bigger brother, the Asus M70S. 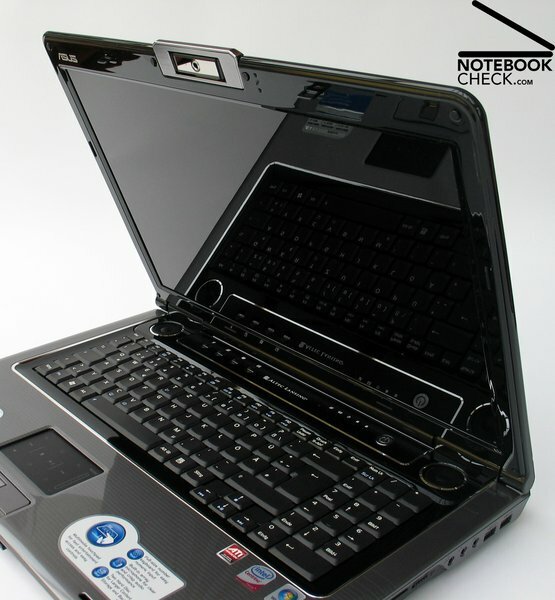 Equipped with high resolution WUXGA display (1920x1200 pixel), the notebook offers full HD resolution and a Blu-Ray drive that is able to play HD data. An integrated DVB-T tuner, HDMI output, and an eSATA port further emphasise the multimedia specialisation of the Asus M70S. Optically, the Asus M70S shares many features with the M50 series, like the various chrome bars and glossy plastic parts. Another similarity is the finish of the case. While the M51SN has a dotted pattern, the high quality surface of the M70S is decorated with numerous lines. 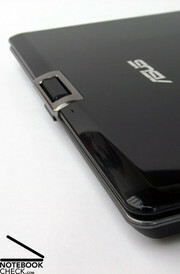 This design, which Asus calls Infusion, is also used for the glossy display lid. 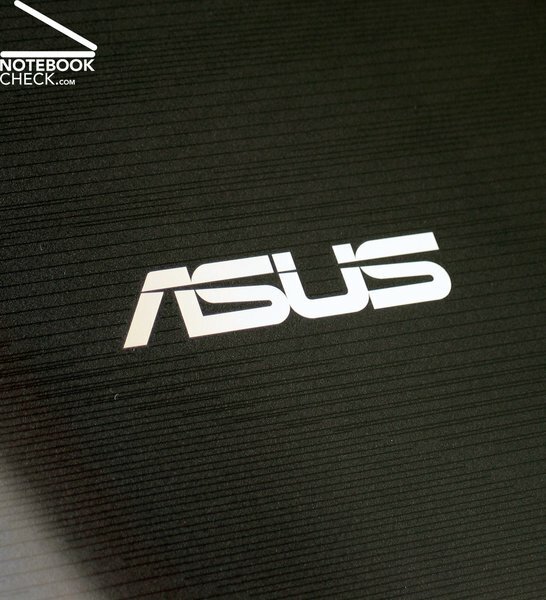 The Asus M70S generally makes a high quality impression, which is supported by the design and colouring of the notebook. But not only the appearance, also the feel of the surface is excellent. Although there is little doubt that a lot of plastic was used in the area below the keyboard, the notebook appears solid. Interesting is that the amount of fingerprints and dust on the surface stays low, despite the glossy finish. The Case of the notebook is very stable. It copes well with point pressure and is flexural rigid. Lifting the notebook on the front edges is no problem for the Asus M70S and creaky noises from the base unit were virtually absent during the entire test. Although the display is as optically attractive as the base unit, it has some problems with stability. It is sufficiently flexural rigid when being opened, but the accompanying creaky noises dampen the good impression of the notebook a bit. The display lid is also less resistant against point pressure compared with the base unit. Even modest pressure on the display lid bends the plastic part and can even alter the display image. Apart from that, the two hinges keep the display safely in position, and prevent virtually any wobbling. The notebook has a double transport hook closing system with two very robust metal hooks. 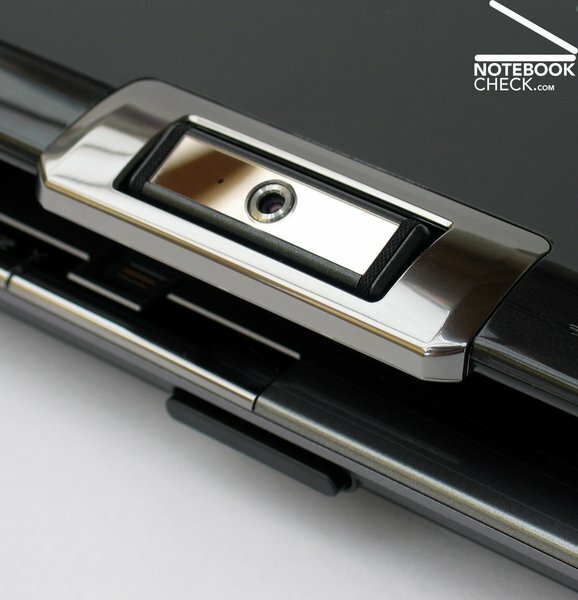 The opening mechanism is a bit cumbersome, because the pushbutton on the front side of the notebook is hard to use. 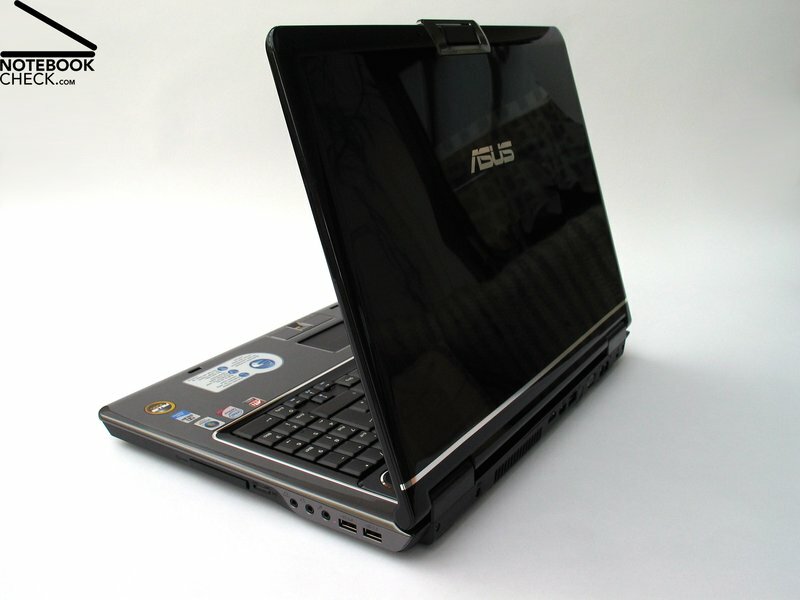 Very user friendly is the alignment of the various interfaces of the Asus M70S. The front side stays clear of interfaces, with the exception of an infrared port, and the connections on the side edges are all located near the back. 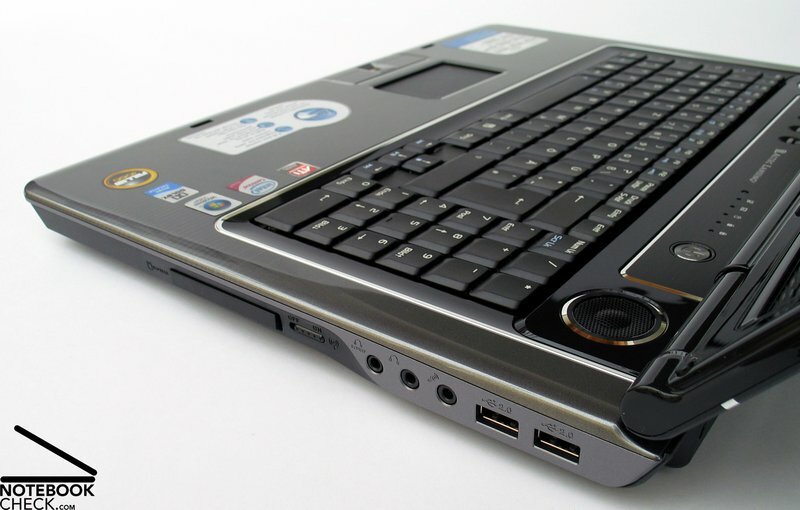 Permanently used ports are mostly located on the back side. 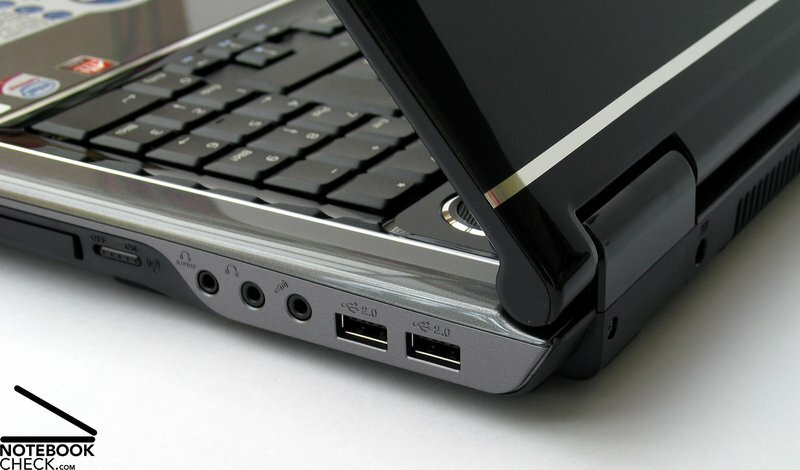 This keeps the working area in front and on the side of the notebook free of annoying cables, even if all ports and connections are occupied. 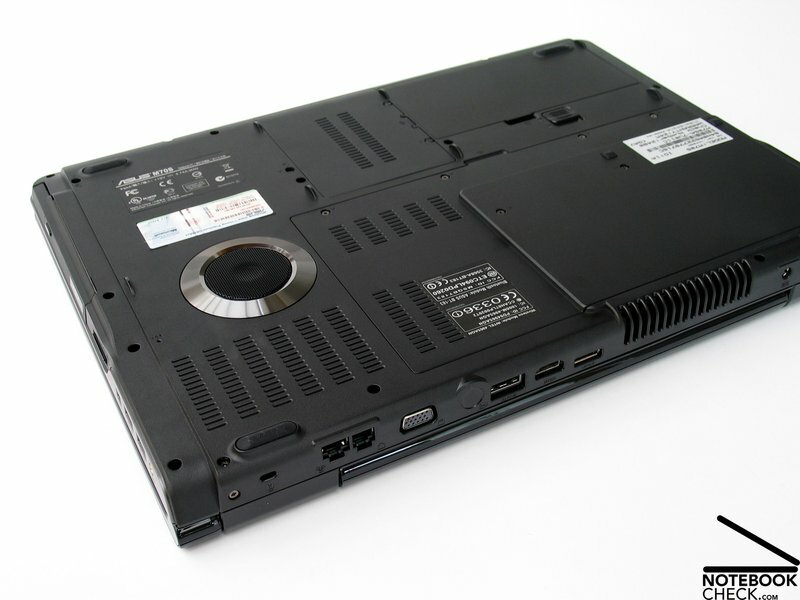 On the left side of the Asus M70S are (from back to front) an antenna connection for the included DVB-T antenna, two USB 2.0 ports, a Firewire connection, a card reader, and a Blu-Ray drive. On the right side, again from back to front, are two USB 2.0 ports and audio ports (earphones, microphone, S/PDIF). 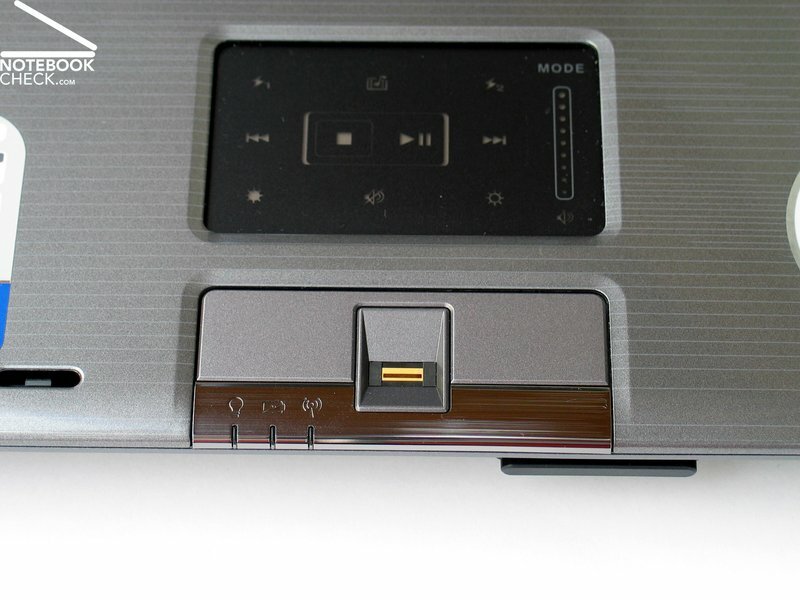 A hardware switch to deactivate the WLAN module and an ExpressCard 54mm slot are also located on this side. As mentioned before, the backside contains mostly permanently used connections, like for example the power supply. Next to the vent holes is an AV-In jack, which together with the included adapter enables transfer of audio and video signals into the system. 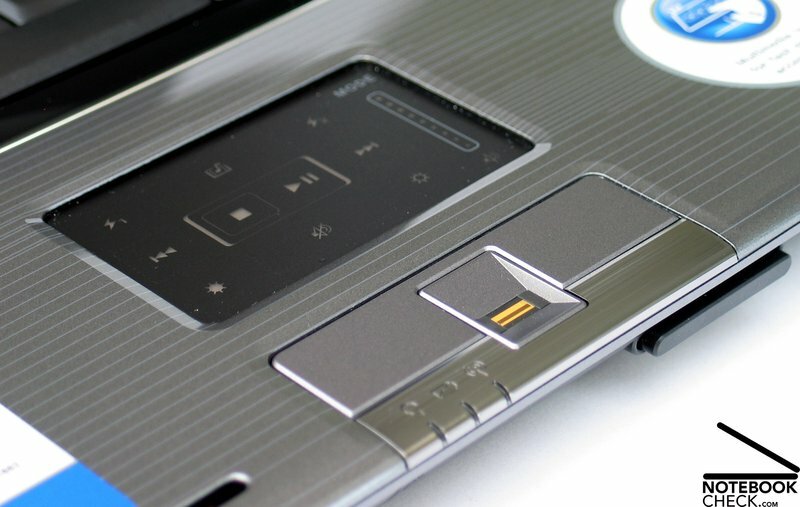 The Asus M70S also contains a full digital HDMI port to connect to large high resolution displays and an eSATA connection ensures highest possible transfer rates when connecting external hard disks to the M70S. There is further an analog standard VGA port, which completes the available video interfaces, a LAN and modem connection, as well as a Kensington Lock. 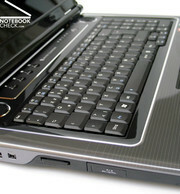 The Asus M70S is also well equipped regarding communication interfaces. 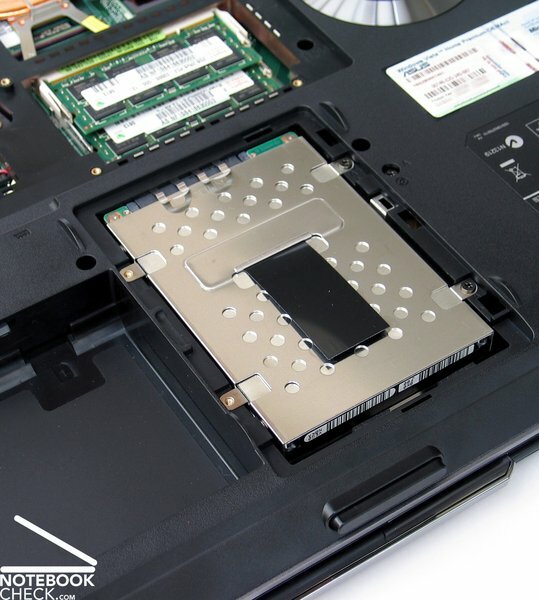 A Gigabit LAN connection (Marvell Yukon 88E8055 PCI-E Gigabit Ethernet Controller) ensures excellent connection over cable, while an Intel Wireless 4965AGN module with Standard-n support offers fast wireless data transfers. 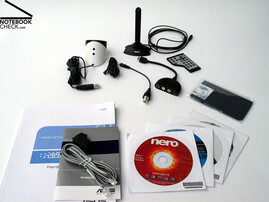 Also included is an infrared interface, Bluetooth V2.0, and an integrated 56k modem (Motorola SM56). 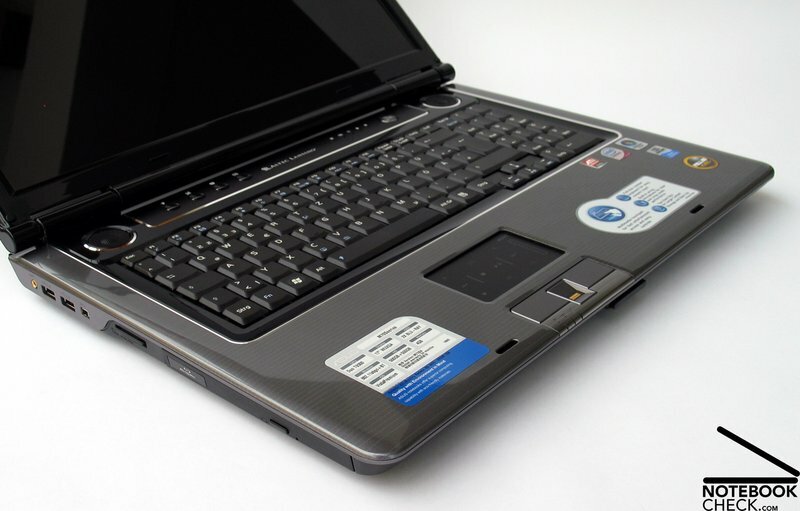 A fingerprint scanner, which is integrated between the two touch pad buttons, helps to protect user data by controlling access to the notebook and manages password input. The M70S further contains a built-in TPM 1.2 (Trusted Platform Module) module for data encryption. 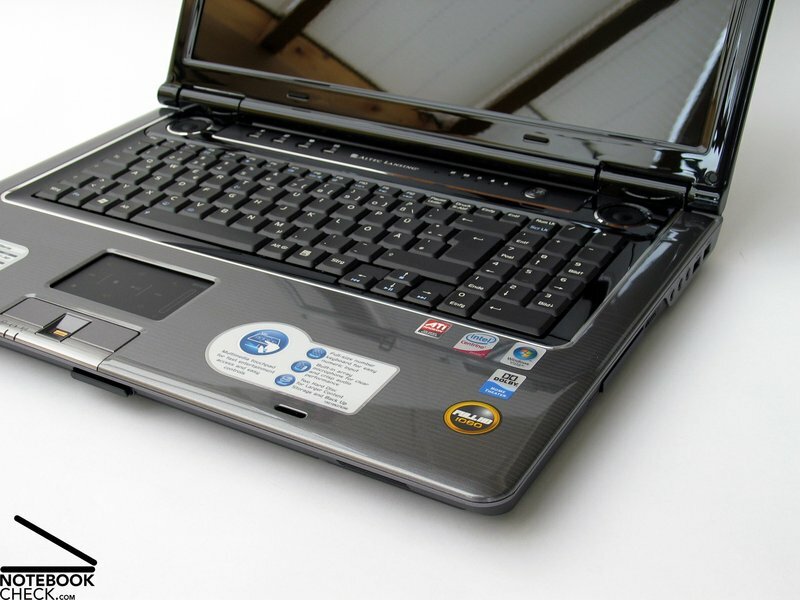 A bit of additional protection against data loss in case of a damaged or defect notebook provide two hard disks with 500GB capacity each, assuming they are used for data backups. Asus was very generous with the accessories included in the shipment of the M70S. In the box are a multitude of small bags containing various adapters and cables. Also provided is an antenna to receive DVB-T, an external IR-receiver, a remote control in ExpressCard format, user manual, driver CDs, and a micro fibre cloth. 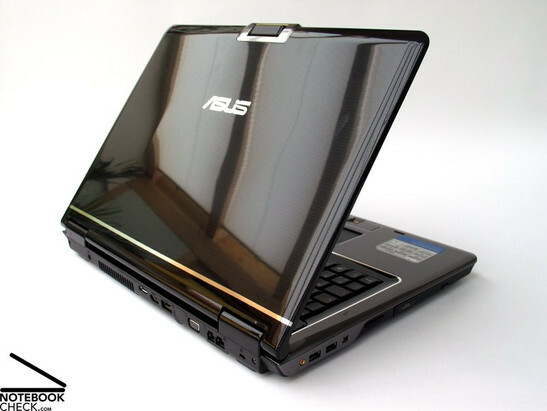 Additionally, a notebook carry case made by Targus is included for mobile use of the Asus M70S, which made a very good impression regarding workmanship. 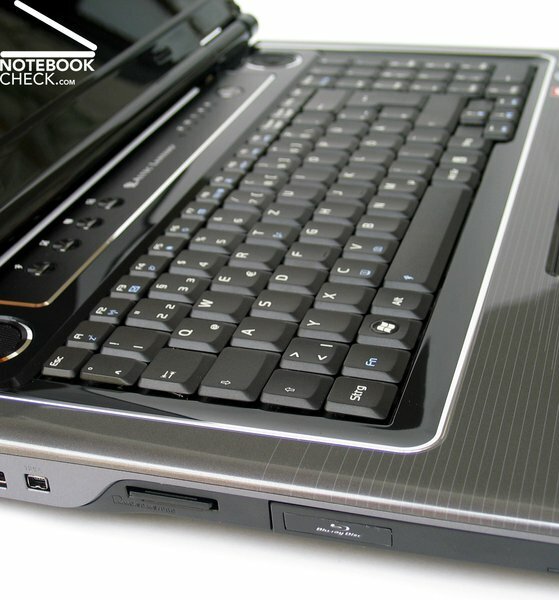 The keyboard of the Asus M70S offers standard layout without surprises, but because of the additional number pad it isn't exactly in the center of the notebook. 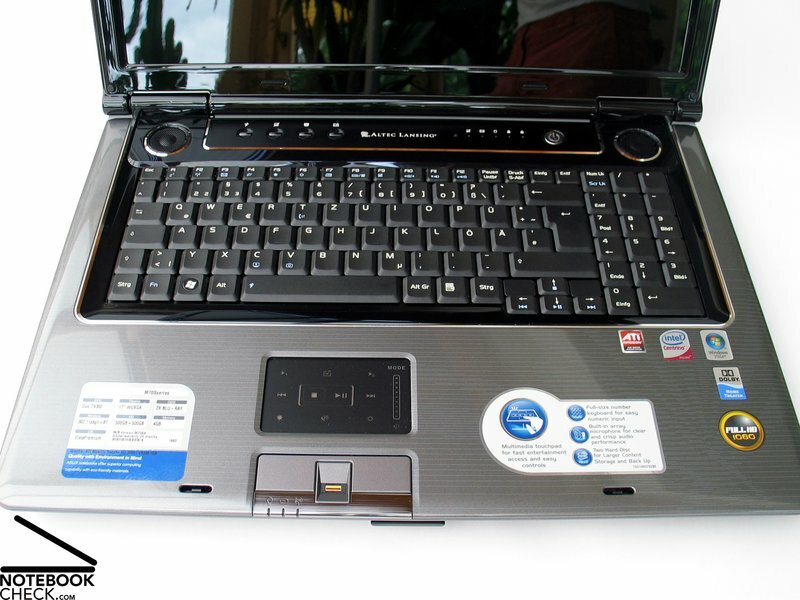 Positive noticeable are the generous, 18x18 millimeter large keys, the two row Enter key, as well as the enlarged Shift, backspace and tab key. 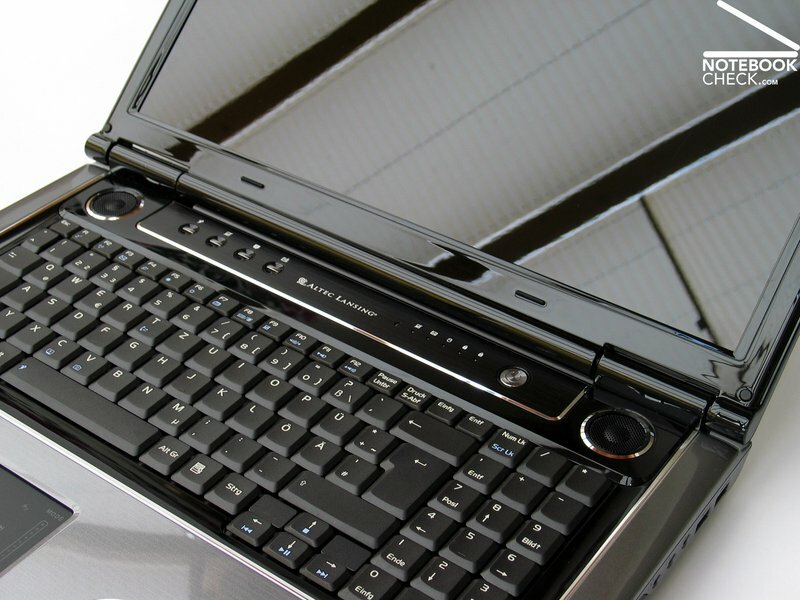 The arrow keys were moved down slightly, which further improves ease of use. Typing on the keyboard of the Asus M70S feels slightly jerky, but it offers a clear pressure point in exchange. 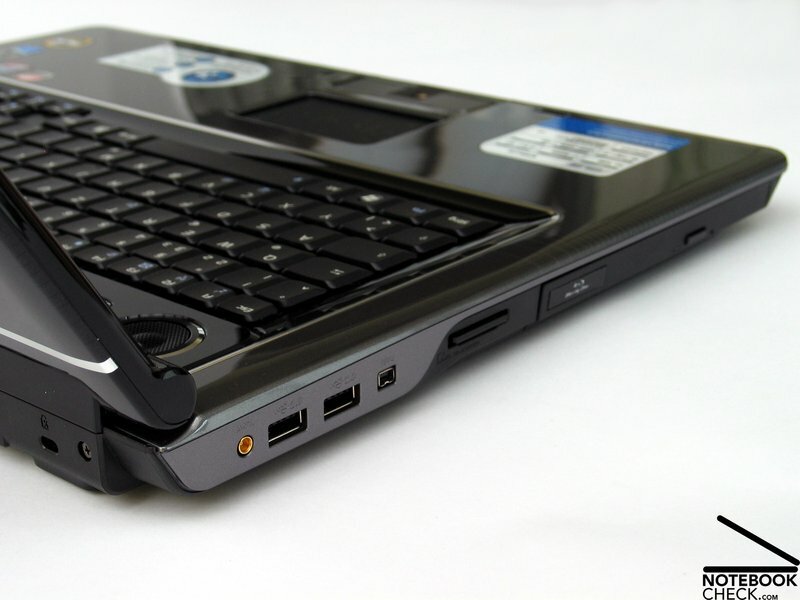 The keyboard emits not only the typical clicking noise, but also a muffled sound when the keys are pressed through. The noise is acceptable during normal usage, but it can get pretty loud when the user is typing energetically. The touch pad is centered below the keyboard, and thus not quite in the middle of the notebook as well. 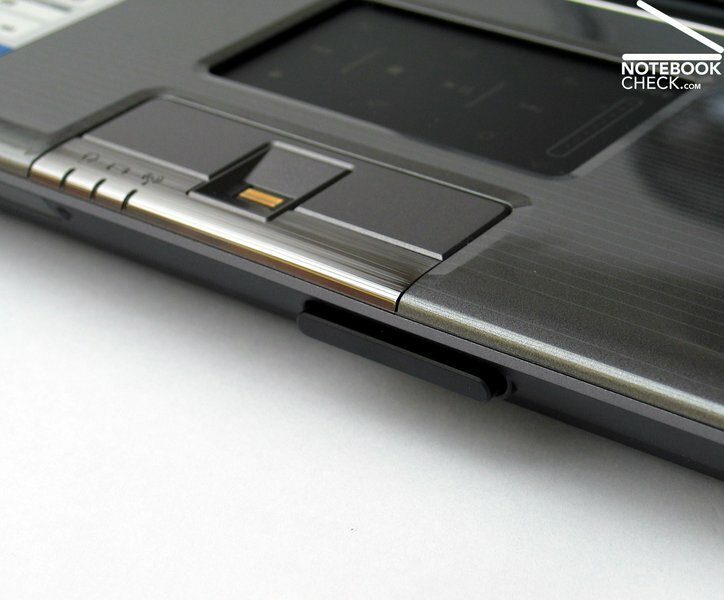 Noticeable is how deep the touch pad is embedded into the case, because it causes the user's fingers to frequently hit the surrounding border. Very agreeable on the other hand, is the surface of the touch pad with optimal gliding properties. Apart from an optically marked scroll area, the touch pad also offers a dual mode function. 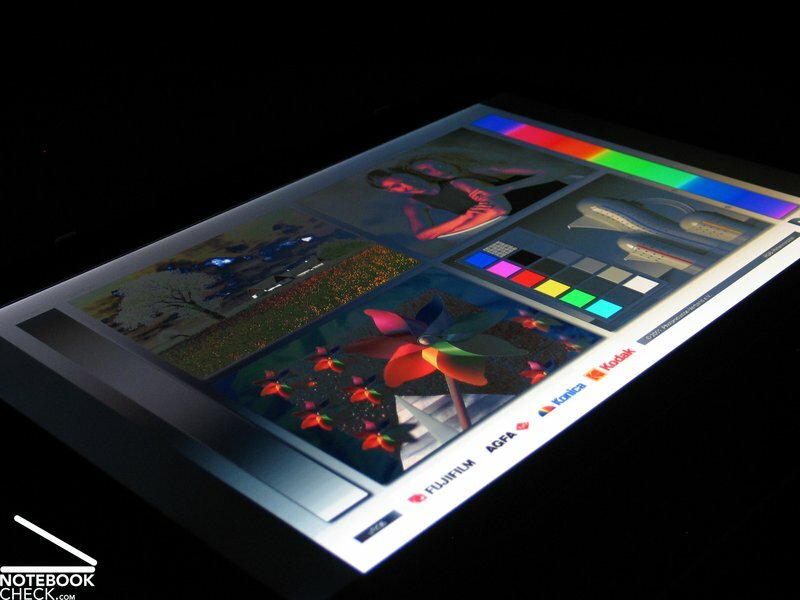 Pressing the label "Mode" lights up symbols on the pad, which enable the user to control multimedia functions and sound volume. 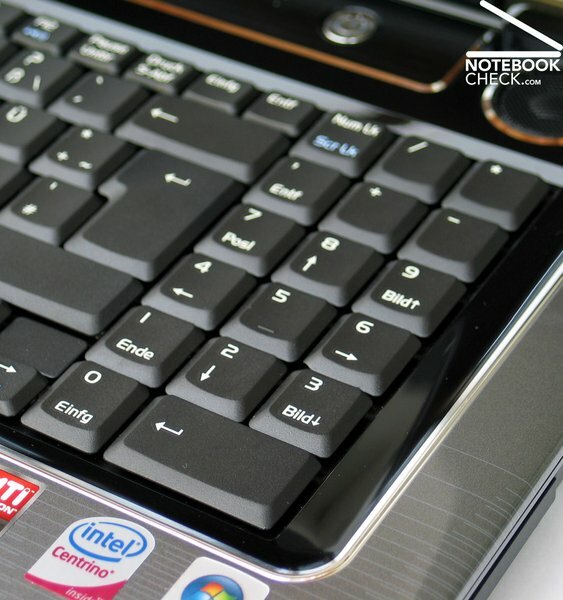 Like most multimedia notebooks the Asus M70S offers additional hot keys to choose a performance mode, or to turn off the touch pad. Full HD is currently not only a hot topic when it comes to television sets, but it also became a trend in the notebook market. 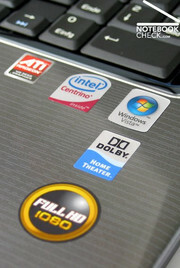 Since the HD-DVD lost the format war, Blu-Ray is dominating the multimedia section of notebooks. 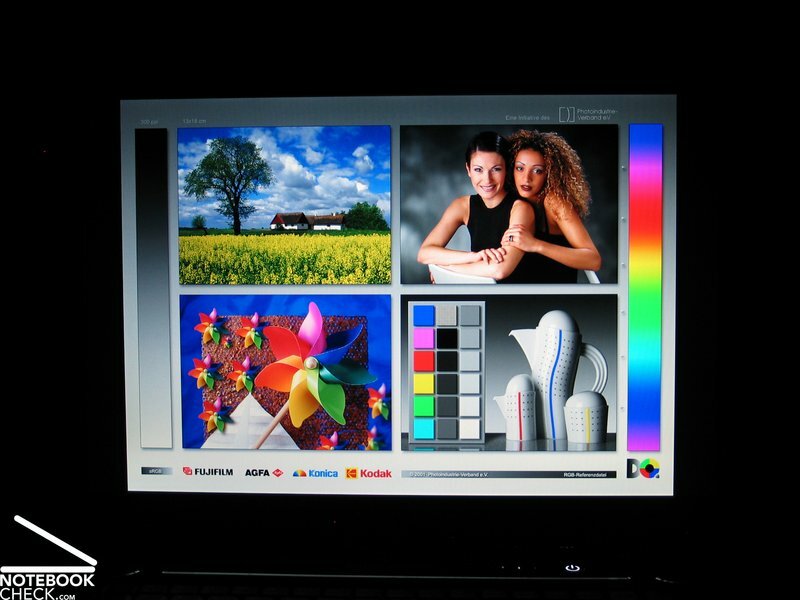 Showing the high definition images properly requires a notebook display with a very high resolution. 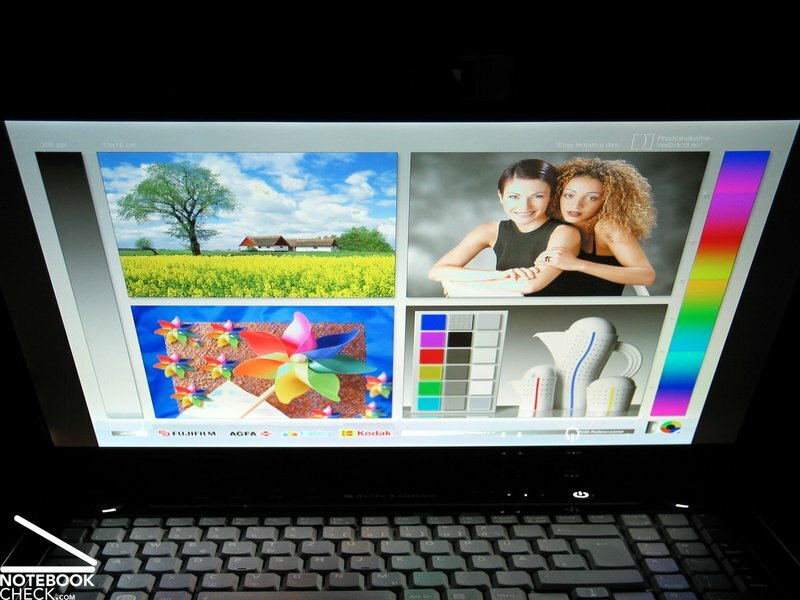 Notebook displays with such resolutions, like for example WUXGA, were until very recently limited to professional business notebooks specialised in CAD and 3D, but now they started to secure a significant share among consumer notebooks. This development is fortunate for the buyer, since high resolution displays not only offer HD compatibility, but also simplify everyday tasks by extending the visible working space. This makes multiple windows manageable without loosing the overview, which is especially helpful with complex software that has several tool bars. Measuring the display brightness was not possible, due to technical problems with our measuring instruments. The image can be subjectively described as very bright with good contrast. Also worth mentioning is the integrated brightness sensor of the notebook, which adjusts the display automatically to fit the general brightness of the environment where the notebook is used. This function can be deactivated with the key combination Fn + A. 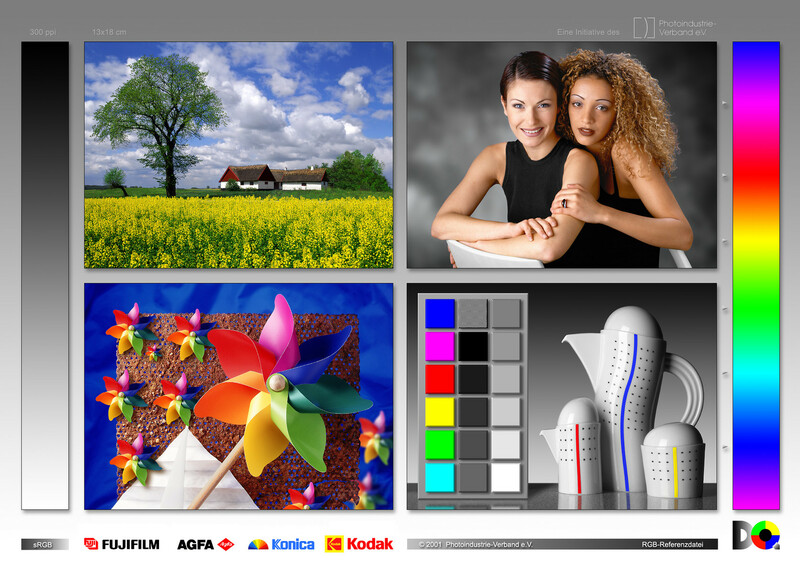 The relatively heavy reflecting glossy display influences the subjective image quality. 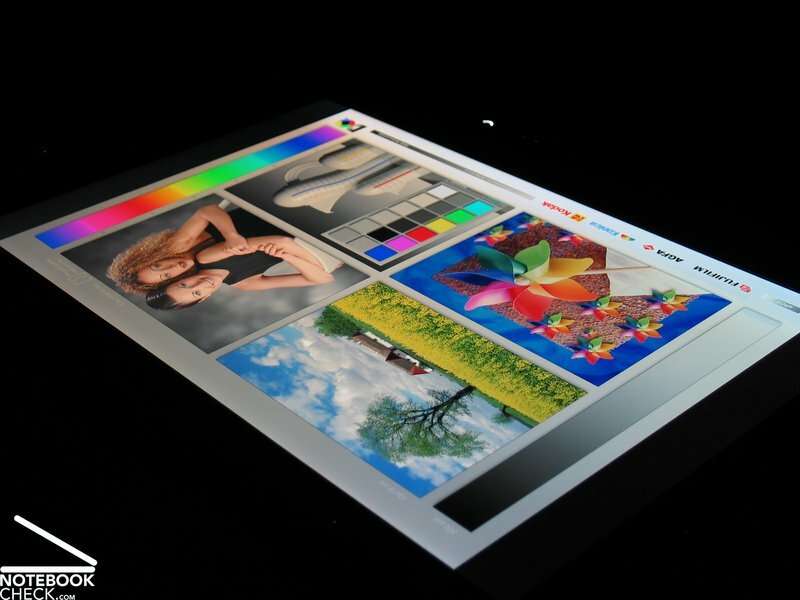 Annoying reflections appear on the display surface especially with black backgrounds. Colour display on the other hand, is sharp and distinct. 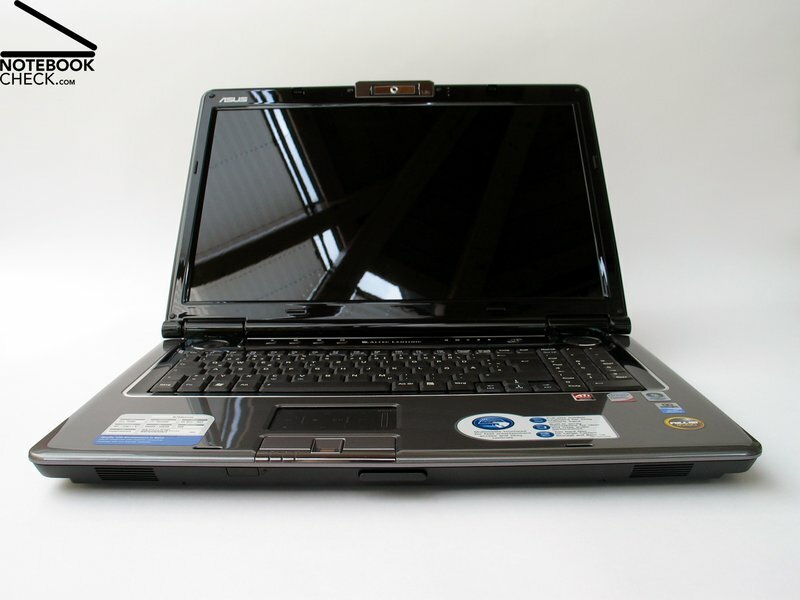 The glare type display surface of the Asus M70S notebook makes it unsuitable for outdoor usage. Heavy reflections can appear even indoors if light conditions are unfavourable. Regarding viewing angles the display offers a sufficiently wide working area in horizontal and vertical direction. Deviation from the optimal viewing angle results in both directions in a slight contrast loss at first, and more reflections the farther one moves. A low viewing angle additionally results in a darkening of the display. 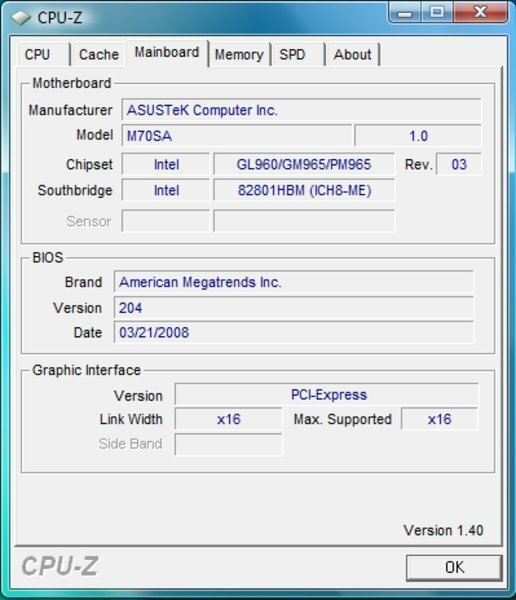 Our Asus M70S test sample contains an Intel processor, Core 2 Duo T9300 "Penryn" CPU with 2.5GHz and 6MB L2-cache, as well as the new ATI Radeon HD 3650 graphics card with 1024MB video memory. More interesting than the already several times tested good performance of the Penryn processor (an extensive review is here), was the new and still rare graphics card made by ATI, the virtually sole competitor of the currently dominating graphics card producer nVIDIA. 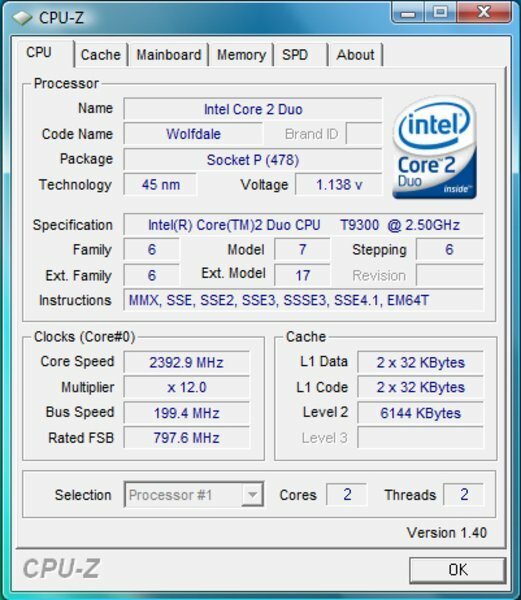 The Asus M70S was able to achieve 7270 and 3321 points in the 3DMark 2005 and 2006 benchmark test. 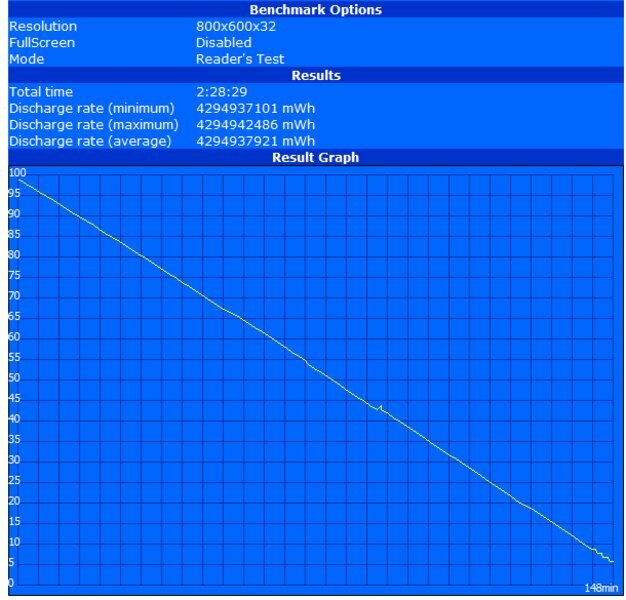 This result puts ATI's HD3650 graphics card a bit behind the Geforce 9500M GS made by nVIDIA. Further noticeable in the 3DMark 2005 comparison is a clear advantage of the Asus M70S Penryn processor compared with the T8100 processor in the Acer Aspire 6920G. Here the potential of the T9xxx Penryn processors becomes apparent once again. 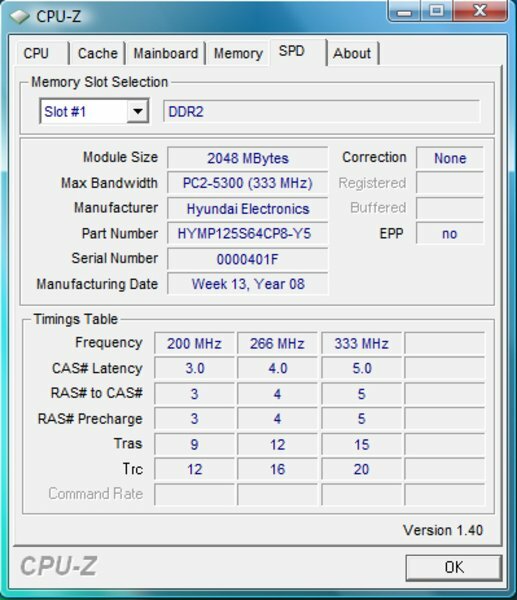 The PCMark 2005 benchmark test didn't show any results. It looks like the ATI driver 7.14.10.0555 has some problems with the PCMark 05. The Cinebench R10 benchmark test on the other hand, showed good results for the Asus M70S in the rendering test, due to the Intel T9300 Penryn processor. In the OpenGL shading test the Radeon HD3650 managed to place itself between the Geforce 9500M GS and the Geforce 9650M GS, which is a good result. Also responsible for the good performance of the Asus M70S are the 4096MB RAM, divided into two modules with 2GB (PC5300) each. Unfortunately, the M70S doesn't have a 64 bit operating system, so that only about 3GB RAM can actually be used. 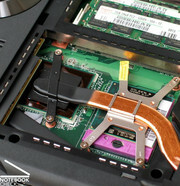 The Asus M70S offers two built-in hard disks with 500GB capacity each as mass storage. This means the notebook has a total capacity of 1000 gigabyte. A lot of it is claimed by the system, but there is still plenty of space for audio or video files. Even if insufficient space should become a problem once, storage can easily be extended infinitely by connecting external hard disks to the eSATA interface. 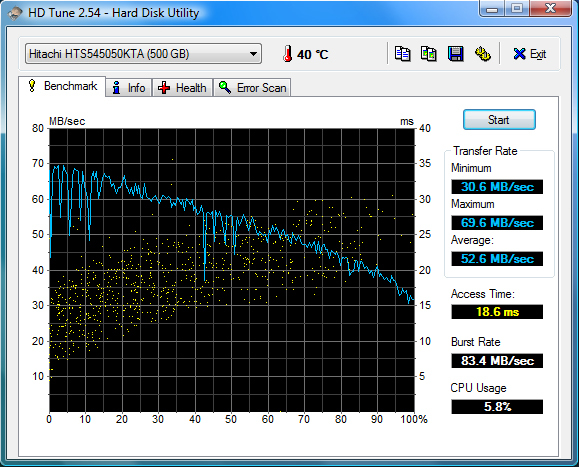 The two Hitachi HTS545050KTA300 hard disks show good transfer rate performance in the HDTune benchmark test. Only the access rate of 18.6 milliseconds is a bit slower than other fast 5400r/min hard disks and the clearly faster 7200r/min models. 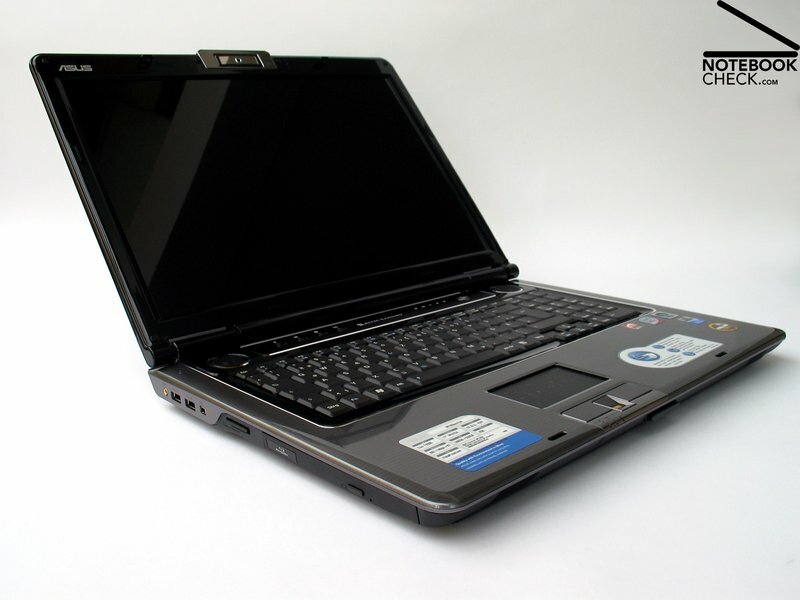 Obviously the Asus M70S cannot keep up with the Asus G70 with two 8700 GT graphics cards when it comes to gaming, but it is still tempting to test a few games on a notebook containing a combination of powerful Penryn processor and ATI HD3650 graphics card. The first test with the current real time strategy game World in Conflict showed average results. While the performance was an average of acceptable 20 frames per second (fps) with medium details (DirectX9) and a 1400x1050 pixel resolution, it dropped to only 8 fps with high details (DirectX10) and a 1024x768 pixel resolution. An actual multiplayer game 3 vs. 3 on the map Seaside with a resolution of 1400x1050 and medium details, resulted in 40-50 fps. World in Conflict was playable with these settings. High details and a resolution of 1024x768 on the other hand, let the performance collapse to 10-20 fps, which isn't really playable. In the equally demanding benchmark test of the first person shooter Crysis the Asus M70S managed only with low details and a resolution of 1024x768 pixel playable 40-50 fps. A frame rate of only 10-20 fps during actual gameplay, with the same resolution and medium details, confirms this result. It was virtually impossible to play properly at these settings. The Asus M70S and its powerful T9300 CPU achieved a better result in the processor demanding real time strategy title Supreme Commander - Forged Alliance. Actual 2 vs. 2 multiplayer gameplay (unit limit 250), with a resolution of 1280x1024 and medium details, showed an average frame rate of playable 10-20 fps. Also included in our tests is as usual the popular first person shooter Call of Duty 4 - Modern Warfare. The game runs at 45-60 fps with a resolution of 1024x768 and deactivated antialiasing. Gameplay was quite smooth at these settings. More problematic are higher resolutions, which significantly lower frame rates and eventually make the game unplayable. Similar results showed the test of the fast shooter Unreal Tournament 3, which is only smoothly playable (45-60 fps) with a resolution of 1024x768. Higher resolutions cause again various frame rate issues, which negatively affect gameplay. 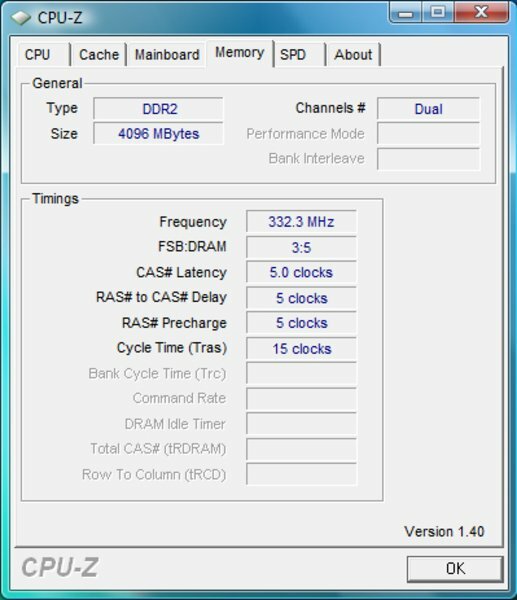 The Asus M70S is relatively quiet in idle mode. Although the fan is always audible with an average of 33.7dB(A), the noise keeps in the background. If the hardware components are put under load the fan starts to spin increasingly faster, similar to a starting turbine, and a slightly annoying high frequency whistling noise becomes audible. The Asus M70S reached a maximum noise level of 44.7dB(A), which can be described as bothersome. Even under load surface temperatures never become a problem for the Asus M70S. Measured maximum values of 35.6°Celsius on the upper side of the base unit, respectively 40.8°C on the bottom, are well below levels that could be criticised. (+) The maximum temperature on the upper side is 35.6 °C / 96 F, compared to the average of 39.3 °C / 103 F, ranging from 21.6 to 68.8 °C for the class Gaming. (±) The average temperature of the palmrest area of similar devices was 28.7 °C / 83.7 F (-0.8 °C / -1.4 F). 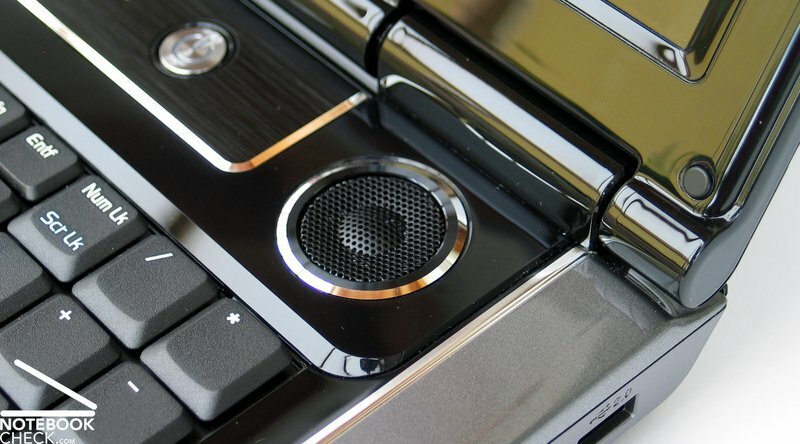 Very promising is the Altec Lansing label between the two chrome surrounded speakers above the keyboard. The first sound check was already enough to demonstrated what the speakers are able to do. No matter whether at low background volume or maximum output - the tone is always clear and sounds right with virtually any music style. The subwoofer, which is integrated into the bottom of the base unit, supports the two loudspeakers on the upper side. Although the subwoofer could add a bit more depth to songs with a lot of bass, we were generally very pleased with the sound system. 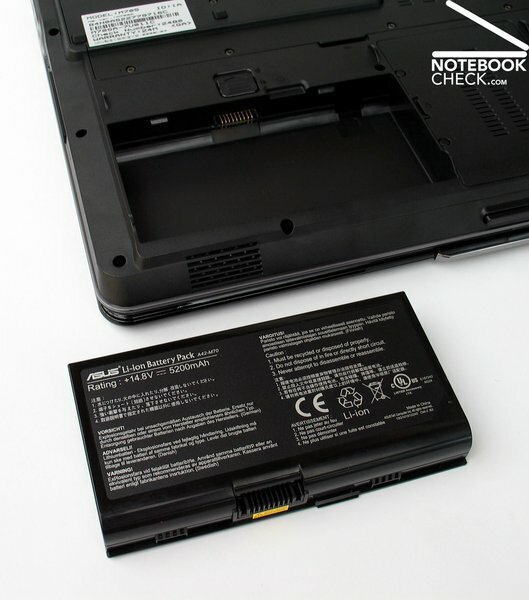 A 5200mAh (74.88Wh) lithium-ion battery is integrated into the Asus M70SA. 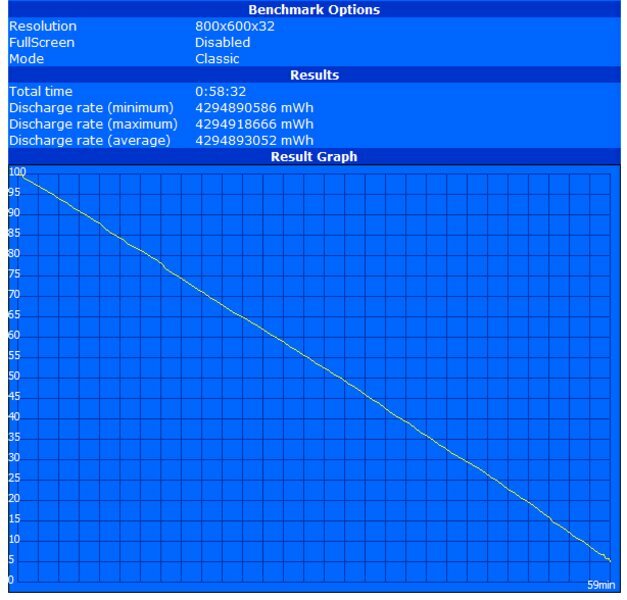 The battery supports the notebook for maximal 148 minutes in the BatteryEater readers test, which is a rather modest result. Under load, with the BatteryEater classic test, the Asus M70S runs for only 59 minutes. Not much better is the result of the practical runtime test. During DVD replay with maximum brightness (WLAN deactivated, performance mode "entertainment") it took only 104 minutes until the M70S run out of power, which is not enough for an average movie. Replaying a Blu-Ray disc on batteries seems entirely impossible. In WLAN mode with adjusted brightness (level 5/7) and performance mode "battery saving", the notebook managed acceptable 134 minutes. The Asus M70S proves its multimedia capabilities in various ways. For example by using a stylish designed case with chrome and glossy surfaces. Another positive aspect is the extensive and very user friendly alignment of the interfaces, which include a HDMI and eSATA port. Furthermore, there is an integrated webcam, a fingerprint scanner, a Blu-Ray drive, and an integrated DVB-T hybrid TV-tuner, which turn the Asus M70S into a fully-fledged multimedia center. 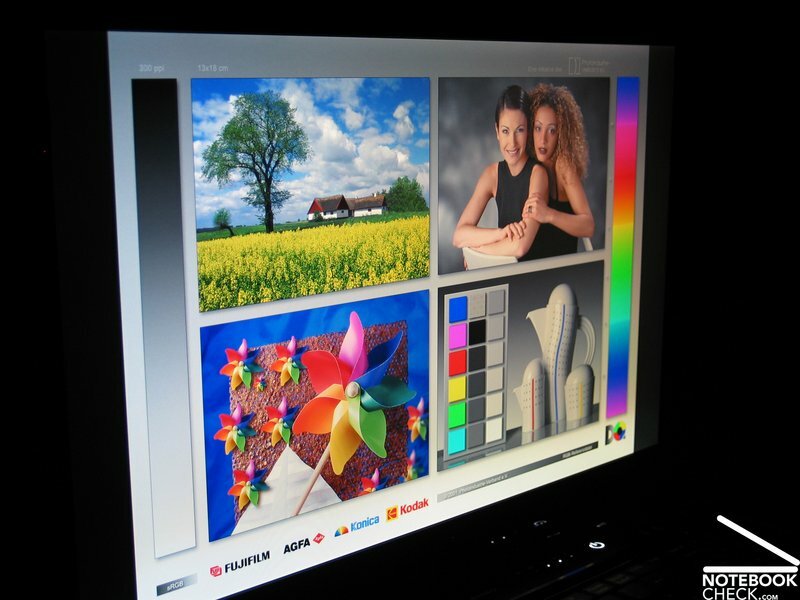 The Full HD display supports a resolution of up to 1920x1200 pixel and showed good contrast during the test. Unfortunately, the display reflected heavily, which damped the general impression a bit. Asus built a powerful T9300 Penryn processor into the M70S to ensure good performance, and added a new graphics card made by ATI, the Radeon HD3650. 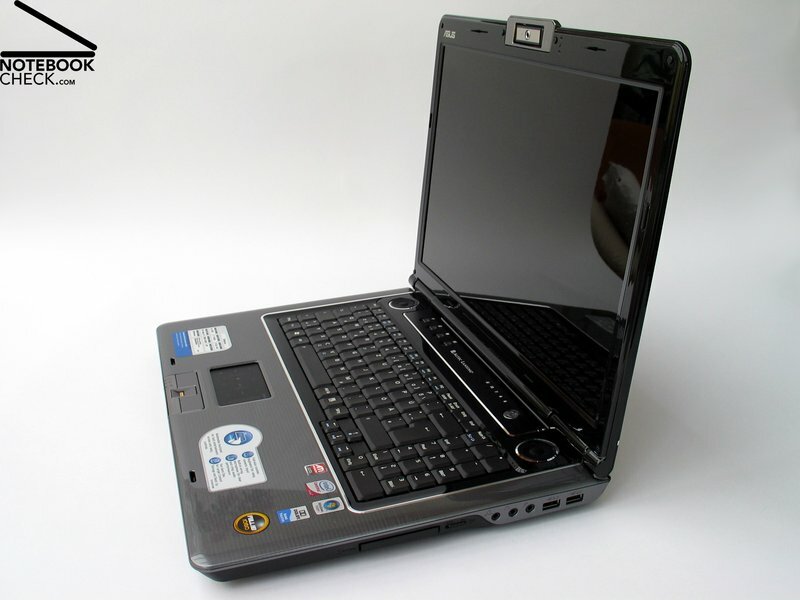 Application performance of the notebook is very good, due to the fast processor. 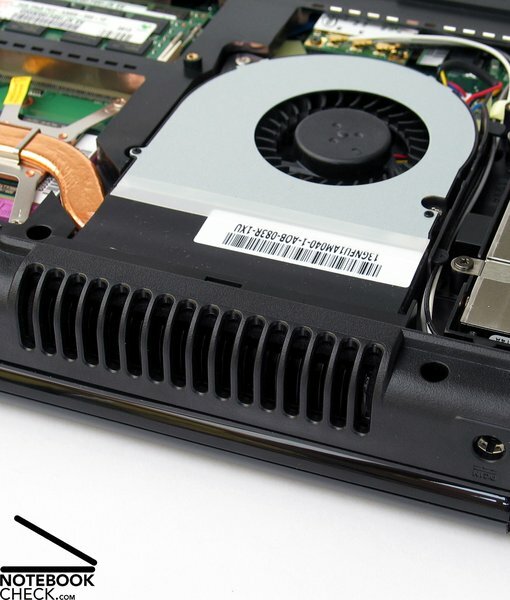 The performance of the ATI graphics card is approximately on par with a Geforce 9500M GS, and thus not really enough to achieve good frame rates in current games. Noise emissions of the notebook are double-edged. 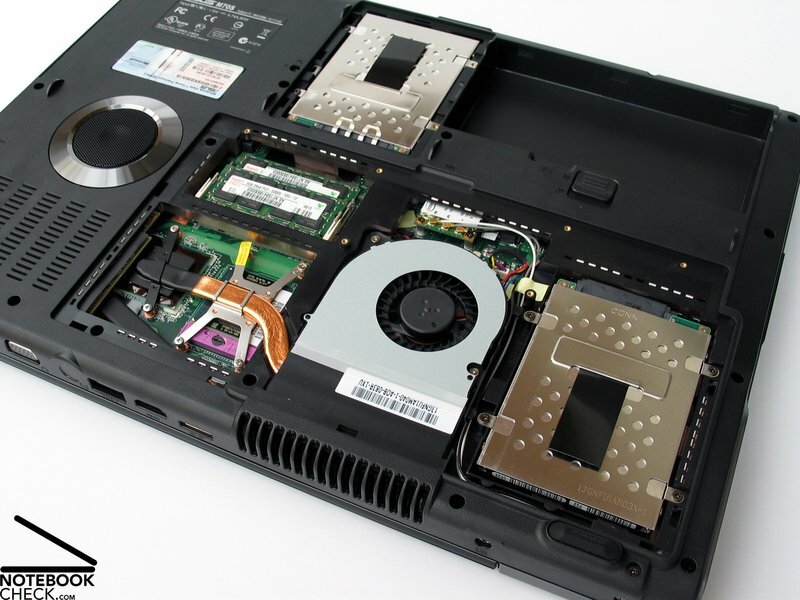 The notebook runs relatively quiet in idle or office mode, but the system fan can get really loud under load, for example while playing current games. The turbine-like noise is very audible in this case. Surface temperatures on the other hand stay always low. We were very impressed with the audio system made by Altec Lansing. 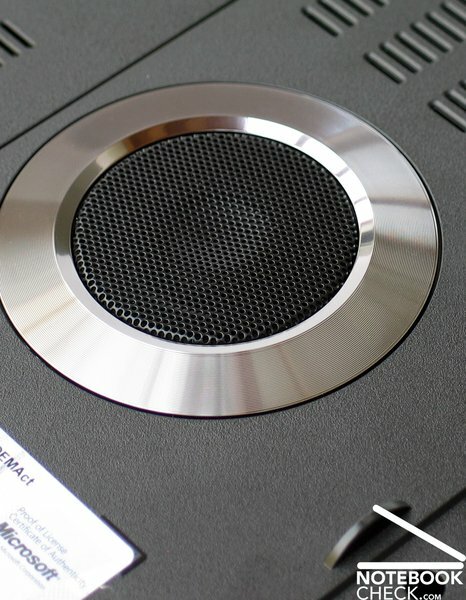 The speakers and subwoofer offer music in excellent quality. Battery runtime of the Asus M70S failed to impress in the test, despite relatively large 5200mAh Li-Ion battery. 104 minutes DVD replay, respectively 134 minutes in wireless LAN mode are not really enough for proper mobile usage. The Asus M70S is very attractive, even when it's closed. 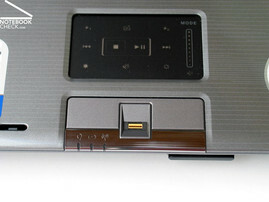 The touch pad has a dual mode function, and can thus also be used to control multimedia functions. 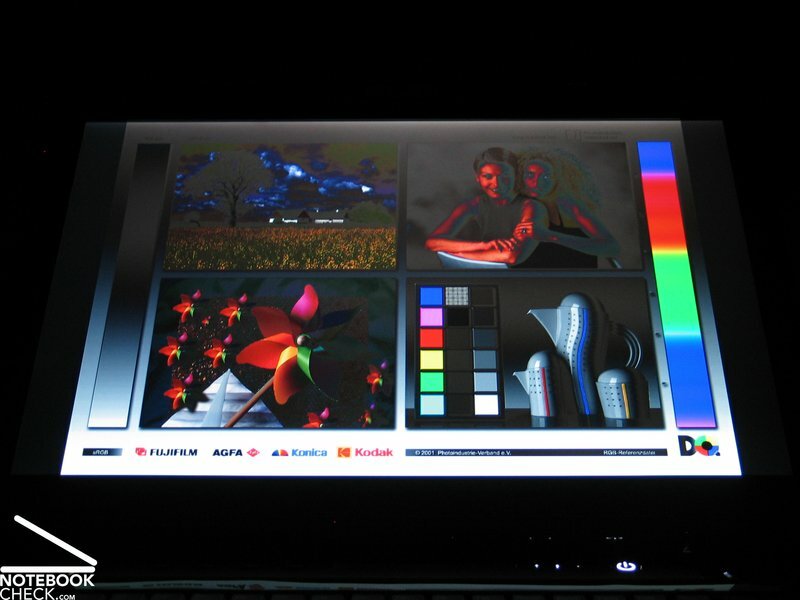 Asus used a Full HD compatible WUXGA display with a maximum resolution of 1920x1200 pixel. 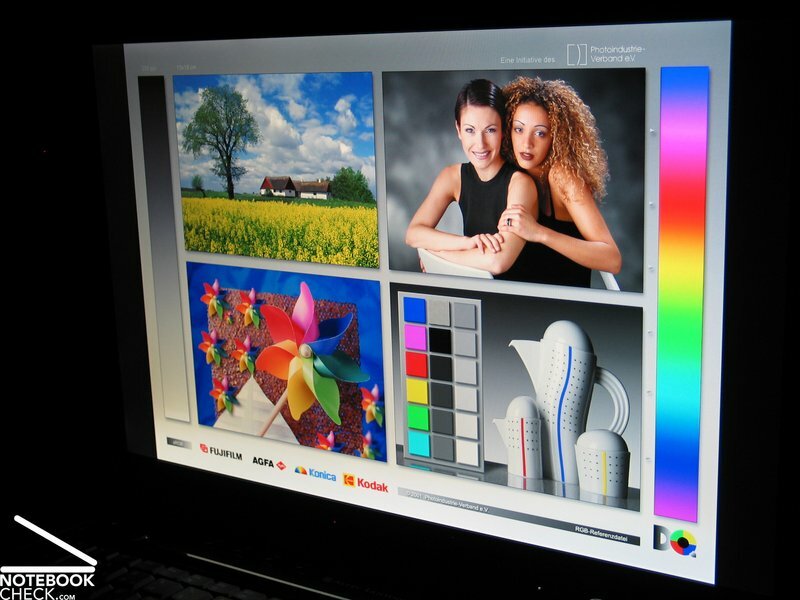 Although the glossy display reflects strongly, it is bright and has very good contrast. 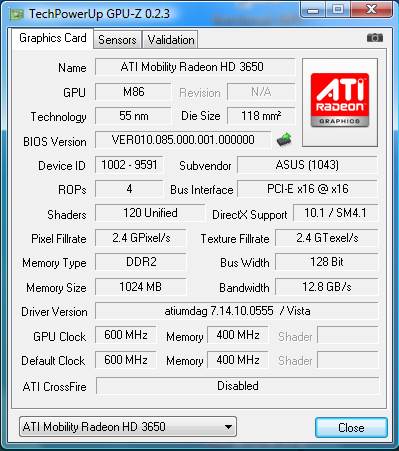 ...and a Radeon HD3650 graphics card made by ATI, which offers similar performance to a Geforce 9500M GS. ...which store together 1000GB of data. 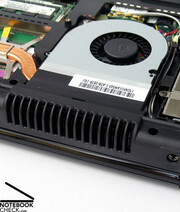 The fan is quiet in idle or office mode, but emits a turbine-like noise under load. Surface temperatures are always acceptable and never get unpleasantly hot. ...and a subwoofer on the bottom of the base unit. The result is excellent sound quality. ...and a separate number pad for convenient number input. ...which gives the notebook a good look, and keeps it clean longer than similar models. Various chrome bars and other glossy parts adorn the base unit. ...and bears pressure very well. Two transport hooks made out of metal keep the display safely shut, but the pushbutton to open the latch was hard to operate. 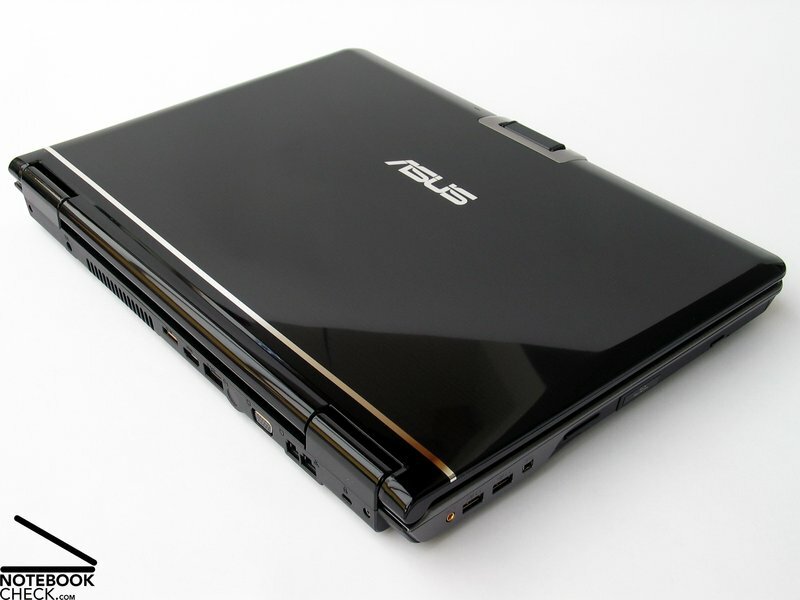 The Asus M70S contains a Blu-Ray drive, which can output high quality videos on the Full HD capable display. 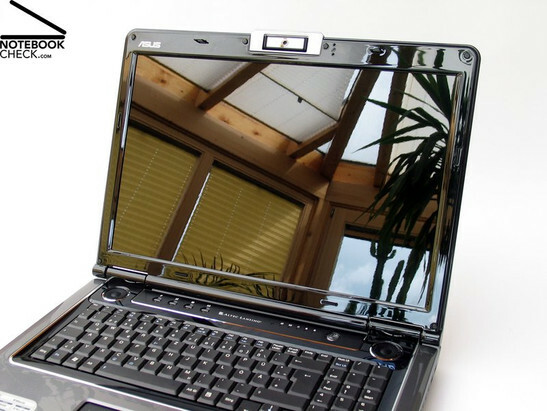 The integrated, rotatable webcam is especially suitable for video conferences, but can also be used for user authentication. ...their alignment is well thought out and user friendly. 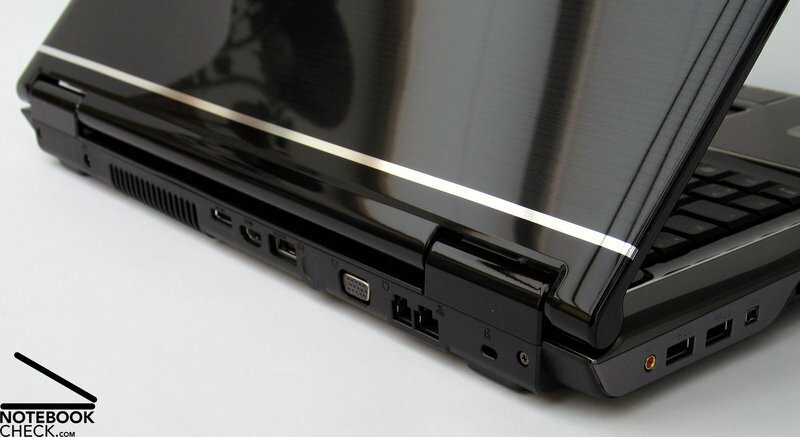 Permanently used ports for example, are mostly on the rear side, or on the side edges towards the back. The integrated 5200mAh Li-Ion battery offers only minimum mobility.